…..and I was equally as happy when my vintage summer design team box arrived at my doorstep! I knew I wanted to marry this photo with the Vintage Summer Collection. 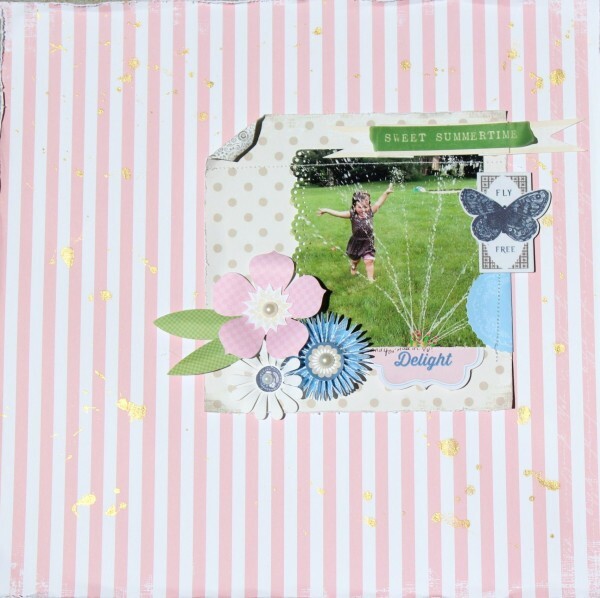 I couldn’t believe there was a sticker that said “Fly Free” with a butterfly…completely perfect sentiment for this layout. Since the 4th of July is right around the corner I couldn’t have a post without something red, white, and blue!! So, I made a firecracker table decoration as well. 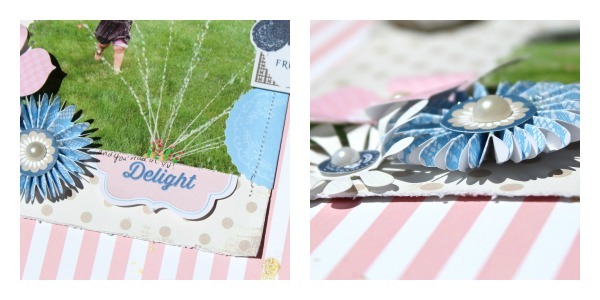 The Summer Vintage Collection has a Navy Star paper and a Red Tiny Floral paper. The Natural Collection has the Beautiful Layered Burlap Stars!! What fun for for the 4th!!! 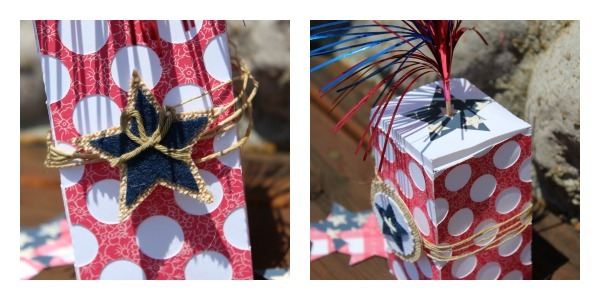 This entry was posted in Scrapbooking and tagged 4th of July, decoration, layout, scrapbooking. A GORGEOUS LO! and a BEAUTIFUL table décor! Wonderful LO – what a perfect moment to capture. Love the table decoration too!! 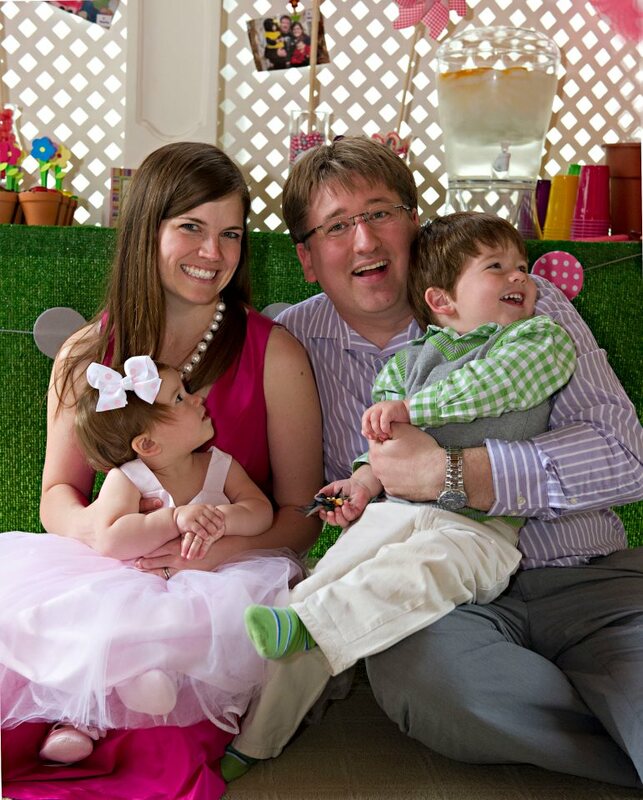 Hope you had a wonderful 4th of July. Adorable projects. That layout is so super sweet. 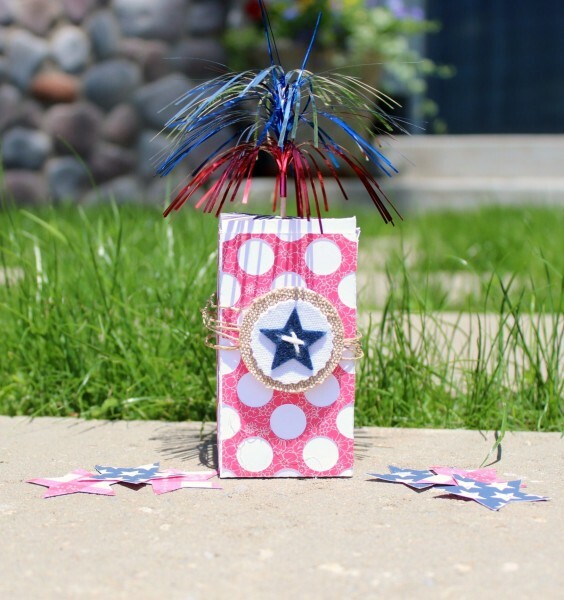 Great projects Jill, the layout is so sweet and pretty, the soft colors are terrific and the firecracker is so much fun!! love these! The layout is just perfect!